Science-fiction author Vonda N. McIntyre died on April 1 at age 70. She wrote novels, short stories and media tie-in books, especially for Star Trek, edited a groundbreaking anthology of feminist SF (Aurora: Beyond Equality), and founded the Clarion West Writing Workshop. She won the Hugo, Nebula and Locus awards for her 1979 novel Dreamsnake, and another Nebula for her 1997 novel The Moon and the Sun. McIntyre was the third woman to win a Hugo. She also founded Book View Café, an online publishing collective for member authors to sell their e-books. 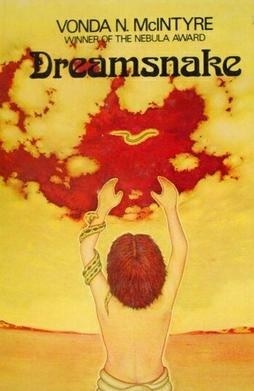 Dreamsnake (1978), based on McIntyre's 1973 novella Of Mist, and Grass, and Sand, takes place in a post-apocalyptic world in which biotechnology has advanced far beyond the present day, and follows a tribal healer who relies on a small "dreamsnake" that produces hallucinogenic effects. The Moon and the Sun takes place in the court of King Louis XIV, where a mermaid-like sea creature is held captive. It was adapted into a film starring Pierce Brosnan in 2015.